Extreme pain; ongoing and unresolved. A woman unable to sleep at night and falling asleep at the wheel. Calling a diagnosis from a medical professional "fruitless." When you put all of these things together in hindsight you might be able to easily see that a misdiagnosis was in play. But for Marion Millhouse Barker, these were just endless frustrations and occasional crises following a long road of being unknowingly misdiagnosed. She gritted her teeth and grew into a very high pain tolerance. All the while she was carrying a tumor in her ribcage called a "schwonnoma," which left her feeling pain that she described as "worse than unmedicated childbirth or acute appendicitis." She was also at-risk for paralysis. Marion Millhouse Barker lived with this pain that often left her sleepless for two years. Over time, the pain showed up more often, and eventually showed up every night. But oddly enough, not during the day. She had consulted with her internist, who ordered a chest xray and tests related to her gall bladder and liver. All of the tests came back normal. She was prescribed painkillers, which didn't help. Another doctor prescribed anti-inflammatory cream, which also did not help. Eventually, her brother, a cardiologist, came into town, and she asked for his advice. He thought it sounded like it could be nerve pain (not inflammation) in her spine and suggested she get an MRI. She got an MRI and CT scan of her spine, which revealed a tumor lodged in her spinal canal, just below the shoulder blade. She was referred to a group of surgeons who eventually removed the tumor. The surgery was relatively simple, but recovery from it took a year. The basic definition of medical malpractice is, according to the American Board of Professional Liability Attorneys:when a hospital, doctor or other health care professional, through a negligent act or omission, causes an injury to a patient. The negligence might be the result of errors in diagnosis, treatment, aftercare or health management. Sound familiar? Give us a call at 202-393-3320 today. You'll speak to a real person who wants to hear your story. We have seen errors and omissions in diagnoses and treatment have catostrophic consequences for real people just like you and me. Just like Marion Millhouse Barker. Thankfully, she ended up being okay, but what happens when a brand-new mother dies from pre-eclampsia because she wasn't monitored properly? Or, when a child is brain-damaged due to delivery complications that went unaddressed or were addressed improperly, and now a mother has to deal with a lifetime of time and expense that it takes to take care of a child with special needs. Pre-eclampsia is 100 per cent preventable. Delivering a child on time and with the proper physicians present will keep the fetal heart rate from getting too low, and/or keep the child receiving the oxygen he or she needs in order to keep their brain functioning properly. 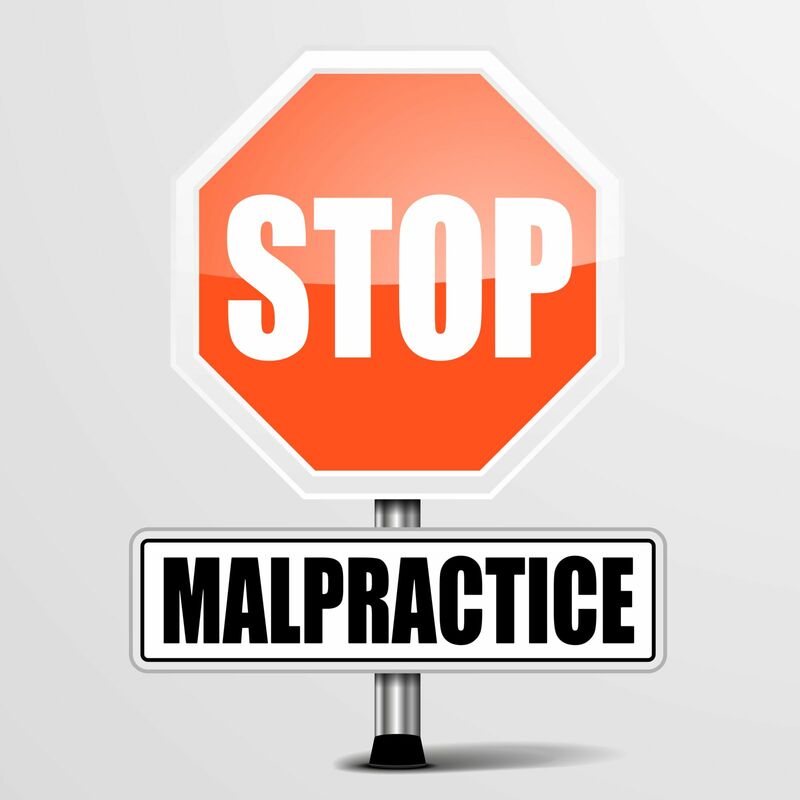 Some people don't even know that they have been victims of medical malpractice. Why would the hospital tell them? They may not even know that they could be eligible to an award that would help them take care of a precious child with special needs over a lifetime. If you think that you might be a victim of medical malpractice, don't wait to call us. There are statutes of limitations at play so even if you are not sure that you have a case, it's better to contact us and find out than to allow the statute of limitations to play out. Not sure about us? 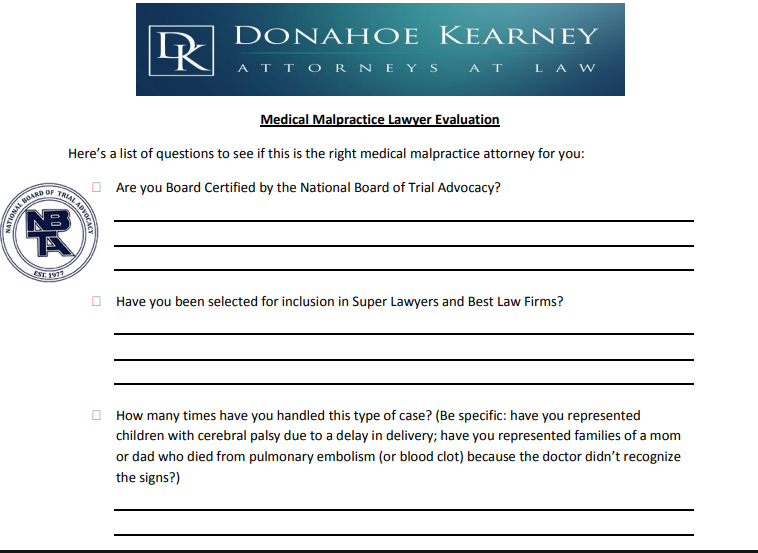 Give us a call and we will send you a complimentary lawyer evaluation form. Because we know that hiring a medical malpractice attorney in DC, Maryland or Virginia is a big deal, and you should be sure about us.